Nowadays, everyone owns at least one pair of jeans, whether you are a fashionista or normal officer. Jeans also have many styles and today I want to recommend the skinny one. Skinny jeans are very good at outline curve of the legs and hips and the high waist design is a perfect detailing to visually extending the lower part of our body makes us look taller and more energetic. Hence, don’t miss out these amazing jeans! Denim on denim is a good choice for most occasions. Do you sometimes have a whim and want to dress up as a rebellious girl or a rock girl? And maybe most of you can guess that my answer is yes! 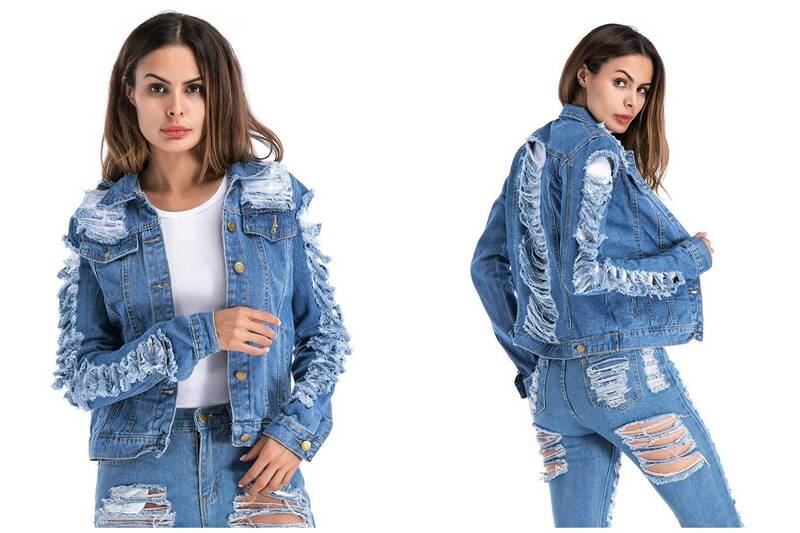 Life always needs some interesting attempts, just put on the jeans or denim skirt, drape a ripped denim jacket and start to experience rebellious style. Anyway, this will be a special experience for who are used to living a normal life. Perhaps you will think the ribbed style is not versatile enough? Then this denim midi dress is for you! Layer a blouse or knit wear under this dress, complete a simple yet chic collocation in seconds. Make your sundresses work all year around, a great tip to save money! Here are just a few pieces. Want to get more inspirations? Please visit EDLPE.COM to start your journey to beauty! Discover your new affordable fashion wardrobe. In addition, we provide products for wholesale; if you are interesting in our wholesale program please feel free to contact us by email edlpe2018@gmail.com . 上一篇： Hurry up! Halloween is coming soon!